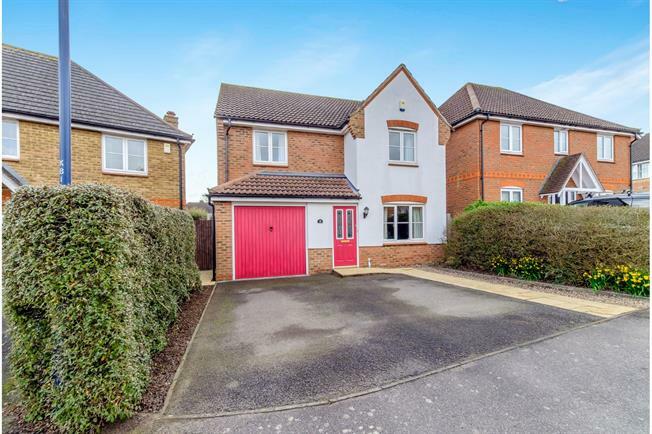 4 Bedroom Detached House For Sale in Maidstone for Offers in the region of £450,000. Bairstow Eves are delighted to offer for sale this wonderful chain free detached family home that must be viewed. This detached family home must be seen. It boasts driveway and integral garage plus front and rear gardens. Inside there is a hallway, generous lounge, stunning open plan kitchen diner with utility room and cloakroom. Upstairs there are four bedrooms plus bathroom and en suite. All this is complemented by the cul de sac position and enviable location. A must see.